A lot of people ask me this. Especially my marketplace friends making a billion dollars more than me. “Isn’t working with nonprofits.. well, not… profitable?” they tend to wonder aloud. Best part is this doesn’t require a talented graphic designer. Or custom series graphics. Or a big print budget. But I bet it’s insanely effective. This weekend, I had an interesting experience that put my job in a whole new light. Most of my work consists of working with churches to help them understand how they can reach people more effectively. I spend time with senior leadership and run focus groups to find out why people come, what were their first impressions, what made them stick, etc. But this time I was able to experience the role of a new guest firsthand. A close friend of mine decided it was time she started going to church again. Her kids are small and she wanted to instill a strong foundation. It was important to her that she plugged into a church close to her home so there wasn't a "temptation to not go because of the distance," and so her kids could get connected with others in her neighborhood. She had visions of plugging in at a meaningful level, volunteering and attending every week. She checked out several church websites and decided to try one billed as, "relevant, contemporary & relaxed." They had a band [which she was happy about] and the website said the sermons related to everyday life. So this past Sunday, we went together. It was a very small church, which doesn't ordinarily bother me although it does magnify the "outsider" feel when stared at. No one wanted to sit in our row. No one offered to give us the inside scoop. Her 6-yr old daughter wanted to go with the others to "children's church" when the kids were dismissed, which made my friend a little uncomfortable. We had no idea where this was [in the basement] or what they were doing. The message was long, felt self-serving and was difficult to follow. "Free choice" communion was at the end of the service, although each and every row got up and went together. My friend was a bit confused on what was going on and if she was supposed to do it or not. I tried to explain quickly in hushed tones what was going on, that she shouldn't feel pressured and I would stay with her if it helped. But the idea of sitting in our row [alone] while everyone continued to stare and possibly wonder exactly what kind of heathens we were became too much for her. So we went. "THIS IS NOT WHAT CHURCH IS ABOUT"
I honestly wanted to cry. My friend hadn't been to church since she was little. She was excited about the possibility of going again for her kids and had initially agreed to visit a few to find the right fit. But this experience turned her off to the point that she's reconsidering the whole idea. Please hear me. I'm not against small or traditional churches. I've been working with churches of all shapes and sizes for fourteen years now. There's some amazing things going on for the Kingdom. But experiencing the role of a first time guest through her eyes made me wonder how often this scenario is played out every week. And it broke my heart. I look forward to this all year. It is, hands down, my favorite event personally. I love the combination of brilliant ministry and marketplace leaders that are invited to teach. I love the electric vibe of being in the same room with 12,000 other passionate leaders with a heart for making a difference for God. I love how the Catalyst team consistently surprises me, going above and beyond year after year. From simple things like geo tracking games to fun toys on the seats to giving me a chance to do something practical when I'm there. One year we we all chipped in to build a new water system for an impoverished village in Africa, another we personally filled and shipped shoe boxes for Operation Christmas Child and yet another we helped TOMS Shoes help kids in need. They tee up the opportunities and make it easy to get involved. I'm not just learning or connecting with others--I'm able to do something in the moment as well. to snag the early bird rate. and I'm frequently asked which ones are truly worth it. Recently I attended Ben Arment's White Board conference [which was spectacular all around] but Vince Antonucci's talk in particular really made an impression on me. "Who was more successful? ", he asked. The majority of churches I run into say they want to reach lost people. People who don't know what it means to have a relationship with Christ. These people may say they believe in God, but not sure they buy into the "whole Jesus thing" yet. Where are these people supposed to learn if it's not IN church? I've been seeing several stirrings in the blogosphere about a recent post slamming Granger Community Church specifically [although I'd imagine any others with a similar mindset are also in the bulls eye] and I'm about to scream. If a large percentage of people coming to the church aren't clear on things like salvation, the Bible & Jesus, wouldn't that equate success if those are precisely the people you're trying to reach? Pop culture is not going away. Learn it. Live it. Leverage it. 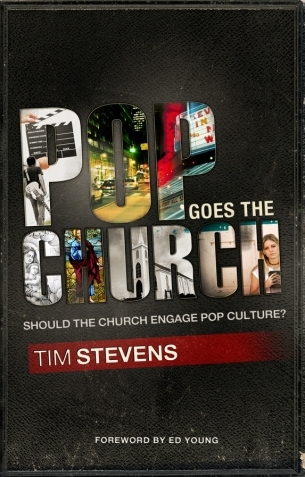 This is not a "one-Granger-size-fits-all" point of view, but truly enlightens readers on the importance of understanding pop culture and its role in connecting people to Christ. Definitely worth the read. Leveraging word of mouth marketing is such a natural fit for ministries-- When you have a great story to tell, people naturally want to share it with everyone they know. But how can ministries be more intentional about getting people to spread the word? In the ministry world, these are typically people who just recently came to Christ. They are so on fire about what God is doing in their lives & the impact of your church, they're telling everyone they know. Jeff sums it up well by saying, "If you're a loyalist, there's nothing worse than a company that doesn't value your input." Granted, this does NOT mean the church should be run from the pews. But keeping a finger on the pulse of your core will go a long way. Don't just wait for people to approach you. Be intentional about connecting with those already out there and affirm their commitment. Talk to your ministry leaders--who's heavily involved? What stories have they heard "from the field"? This goes a bit with point #3-- true advocates love knowing they are helping to shape the story. Don't just engage them, but help them to co-create the experience by giving input. This could mean brainstorming outreach ideas, topics for message series, creating street teams that help spread the word, etc. Wow. Mark Batterson knocked it out of the park with his latest book, In a Pit With a Lion on a Snowy Day. My heart was racing with each turn of the page, asking myself, "What lions I have chased down recently? How long will my list of, "I wish I would'ves" be?" The book uncovers an often overlooked passage in the Bible about Benaiah, who early in his career chased down and killed a lion & eventually rose to be the commander in chief of Israel's army. But the core teaching is about risk-taking. Looking circumstances that may be overwhelming in the eye and seeing them as God-given opportunities. Mark goes on to explain that oftentimes as Christians, we're tempted to play it safe. And at the end of the day, the bigger risk is regretfully looking at a long list of things we wish we would've done, but didn't have the courage. I think this is especially important for entreprenuerial leaders to remember. Risk-taking is critical if we ever want to inspire change and motivate others to get in the game as well. For me personally, the book is just so inspiring. It helped me to take stock of what risks really count as "risks" and not just stretching a little :) Like many of you, my list of "I wish I would'ves" is already longer than I care to admit & this helped give renewed motivation to not let it get any longer.